I’m willing to follow along and take part in the Metaphosaurus project. How about you? I think this is actually a worthy idea for a new type of reference for writers of all types. Yeah, that’s true. In this case, WordPress actually has this as an advantage over Blogger. The tags and categories are cross-referenced across all users of the platform, which I found really powerful. 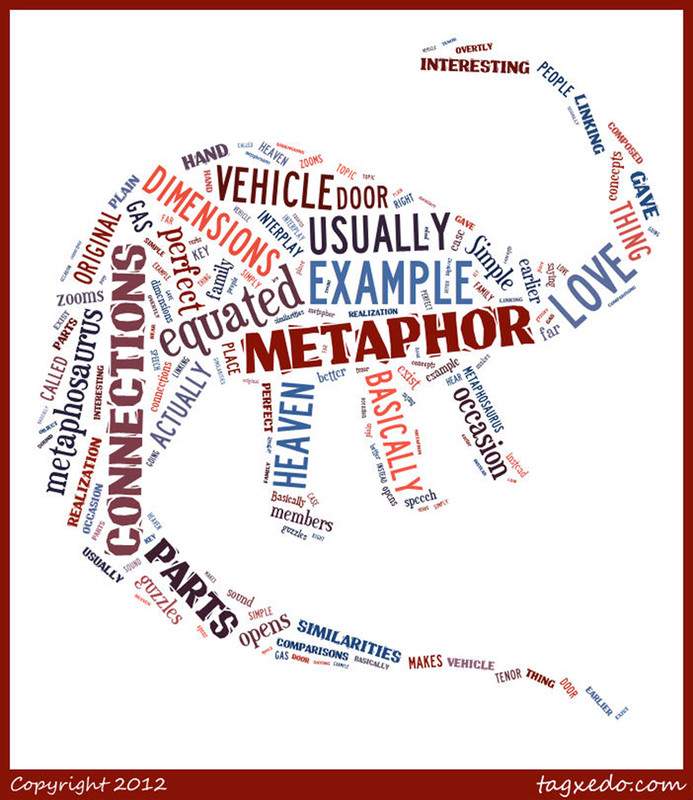 Hence, this WordPress-wide call for metaphors. Again, many thanks! Thanks for reblogging. When I posted this a year back, nobody seemed to have taken notice, so I hope this really kicks off, especially since you’re helping! Thanks a lot!!! Well, you see Chad, I love metaphoric expression. You managed to couch the need for something like this in a humorous blog post, but it is truly a need. I believe people could use this type of reference to improve their writing. I hope more people take interest in it. Thanks for pointing out the humor in my post. I was actually dead serious when I wrote (and rewrote) that blog post last year (and this year). Since Aug. 17 of last year, I haven’t giggled at the post, and now that I’ve read it again, I do see that it is funny. So, what is a metaphor for density and obliviousness? I’ll just say Chad. Hahaha! What I liked most about your post, other than the obvious utility of a Reference of Metaphors being a great help and inspiration for writers, was the organizational vision you had for actually creating reference tags within the WordPress infrastructure. That inspired me to go back through my old blog posts and clean up all the tags and categories for a better EOS print.